You'll be £30.00 closer to your next £10.00 credit when you purchase Cross Channel & Short Sea Ferries. What's this? 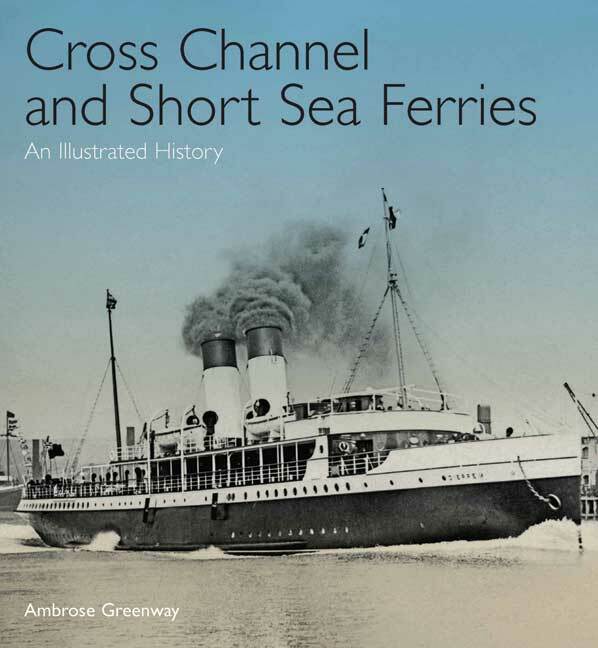 This new book, beautifully illustrated with a magnificent collection of over 300 photographs, covers the development of a much-loved type of vessel, the 'classic' cross channel or short sea passenger ferry often described as a liner in miniature. From the mid-19th century paddle ferries slowly evolved into screw-driven steamers but it was the advent of the steam turbine and the construction of the railway steamers The Queen and Brighton in 1903 that caught the attention of the world. Similarly-propelled ships multiplied and their use soon spread to the Antipodes, Japan, the Mediterranean and North America. In 1912 Rudolf Diesel's new oil engine went to sea in a cargo ship but it was not until 1925 that it was first employed to widespread acclaim in the Danish North Sea packet Parkeston. In 1934 it made its debut on the English Channel with the Belgian Government's striking 25-knot motor ferry Prins Baudouin. The inexorable increase in car travel from the 1930s led to the development of a new breed of specialised car ferry accessed through bow and stern doors and the proliferation of these after WW2 led to the eventual demise of the 'classic' passenger ferry in the 1960s. With its informative introductory texts and abundant photographs and detailed captions, this book will appeal to ship enthusiasts around the world and to all those who mourn the passing of the golden age of the passenger ship. A joy to handle and delve into... this is a mine of information about the vessels used on the cross channel trades between the UK and the continent of Europe and beyond... The standard of reproduction of the photographs is excellent even though some of the images are very old... Few if any of these ferries still exist but this book gives the ship lover an opportunity to relive the past through its pictures and descriptions. Recommended. This attractive and informative volume will be welcomed by shipping enthusiasts everywhere. This is an excellent book backed up with some high quality photos and I would very highly recommend it to our readers. Lord Ambrose Greenway spent his formative years in the Cornish port of Fowey which firmly established his lifelong love of the sea and ships. After five years as a marine insurance broker in Lloyd’s, he travelled to Australia on a Norwegian cargo liner and on his return embarked on a career as a marine photographer. On the death of his father in 1975, he inherited a peerage and has served in the House of Lords ever since, specialising in maritime affairs. He has also worked in the ports industry for 20 years and during that time has also been President of the World Ship Society, President of Cruise Europe, Chairman of the Marine Society and Acting Chairman of the Sail Training Association. He is an Elder Brother of Trinity House and a council member of the RNLI, is married and lives in Devon. Cargo Liners is his first title with Seaforth Publishing.